What a beautiful day we had today. I woke up to sprinkles, but they went away quickly, and it was quite a bit warmer than yesterday. I finally went out and replaced my ailing mailbox - it had quite a swivel going since it was hit by the plow. This time I made it higher too so I, and the mailman, can reach it better. 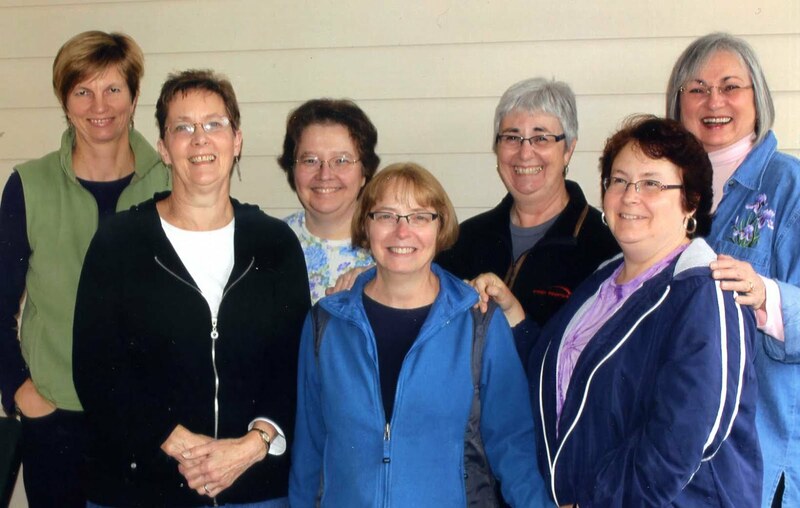 I also pruned my forsythia back - although I can never remember if it is better to do it in the spring or fall. After that, I was off to my craft room to play. My calendar shows many birthdays and anniversaries around the corner in June, so I have to get creative. Here was a card I finished today using a retired Stampin Up French flair background that I bought at a yard sale. Since it is 5 x 6 inches and I didn't want to cut it down it makes a big card. I just happened to have some 5 x 7 inch white cards left over from a Christmas project to use as a base. I embossed the image on watercolor paper intending to use my watercolors. While the card was in process, I decided my distress inks needed reorganizing. (That means there were too many on the desk in my way!) While I had them out, I decided to sponge distress inks over it instead. 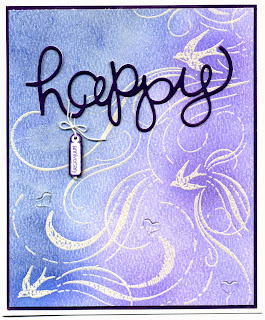 I diecut the word 'happy' from the Stampin Up Hello You thinlits using the same purple paper that is the layer. That didn't look firm enough so I cut it again in white and glued the layers together. 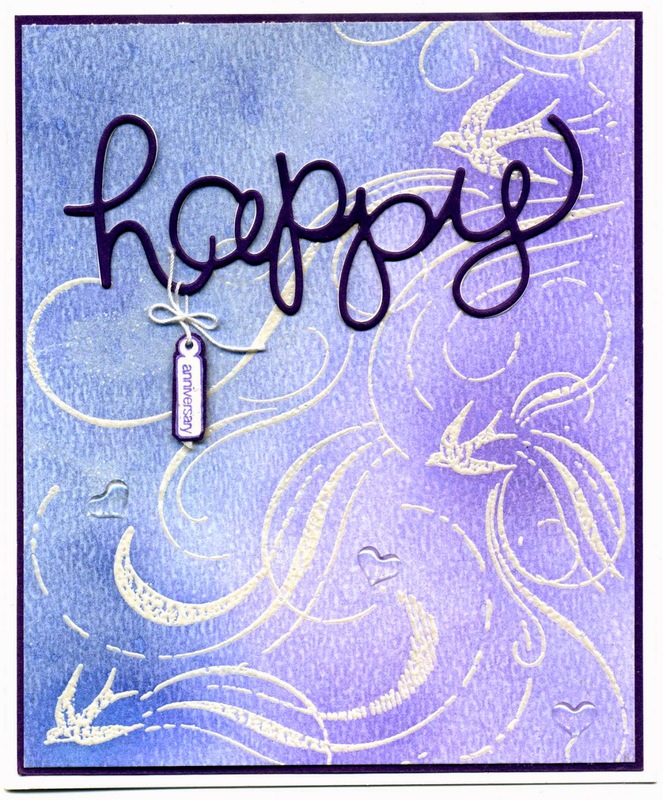 I found this little anniversary tag in a Studio G set, stamped and layered it. It is tied to the happy with a white string and popped up. The finishing touches are three epoxy hearts added to the ends of the swirls. 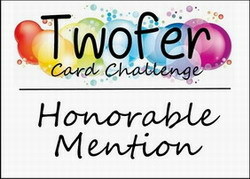 This anniversary card is the closet I will get to a wedding card this month, so I am cheating a little and linking it to the Just Add Ink Wedding Challenge. It is a better fit for the Inkspirational Challenge 83 where the color is purple and the theme is love/wedding. What a beautiful anniversary card! Love the little hanging tag! I have that SU stamp too but have never used it, I believe! Thanks for the reminder to dig it out and show it some love! Wow! What a stunning background!